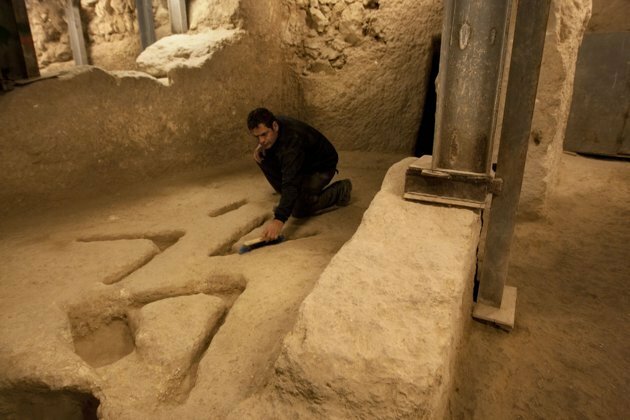 Seven years of silence have descended - The Israel Antiquities Authority's (IAA) silence is deafening, especially given the important information archaeological discoveries can shed on mysteries that have been buried for thousands of years. Although the IAA may argue ‘no intent to conceal’, their procrastination for so many years denies the public the ability to assess evidence and determine meaning. strange shapes discovered in the bedrock floor. But, the much more telling artifact, which I claim to be the actual monument Jacob anointed (Genesis 28:22) and other important features have never been officially disclosed. Recently I was invited to climb from the Upper Gihon Pool to the High Ridge above it. On the way I was invited to inspect the mezzanine area, where an elevated cave dwelling hewn out of the bedrock is located. This hewn house, between the Upper Gihon Pool and High Ridge dates back to Early Bronze Age II and has never been publicly reported. This was significant for me, because it validates the chronological construct I write about in my thesis on Jerusalem’s Origin. The following image highlights some of the main features. These bedrock features are the oldest at the City of David and in Jerusalem, each imbued by very significant constructions. Although pottery shards and other incidental items are primarily absent from the times in which these structures were developed, the structures themselves are pieces of the chronological puzzle that cannot simply be ignored in the hope that some better evidence will come along. The very nature of archaeological interpretation must adapt to consider the entire construct of this important center of the City of David. Archaeologists Israel Finkelstein, Ido Koch and Oded Lipschits reported their theories on the absence of evidence from the Iron Age periods at the City of David. They argue for a more northerly occupation of Jerusalem, which followed the location of the temple at the top of the “Mound on the Mount”. I agree with the logic of their theories although I believe that earlier occupation on the southern slopes was directly on the bedrock, which has denied archaeologists the sedimentary layers that would normally retain evidence. Eilat Mazars discovery of the Palace of King David was also a movement northward from the area around the Gihon Spring, which I consider to be the southernmost origin of Jerusalem. Accordingly, she (following Macalister and Duncan) proposed that the Middle Bronze city was limited to the southern part of the City of David. My interest and protest centers on the much earlier Bronze age period. ~3000-2000 BCE through to the Middle Bronze Age ~1500 BCE at and around the Gihon. Very few archaeologists have addressed the significant evidence at this enormously productive, yet under-reported excavation. I have devoted a lot of time effort and resource to this project because I believe it to be the compelling source that motivated and inspired Abraham, Isaac, Jacob and ultimately King David to occupy and capture Jerusalem. I didn’t need more convincing because the features of the High Ridge were sufficient, but when I saw the hewn rock house my jaw dropped as I realized it dated permanent occupation, below the High Ridge to the earlier part of the Bronze Age. This would mark the time of Biblical Shem or Malchitzedek, the Righteous King, the son of Noah who was granted this land by his father. Was this actually the house of Shem, was this the kingdom of Salem (Gen. 14:18)? The spectacularly hewn rock house comprises a major development for its time. Only someone with the power to command the dedicated resources could have commissioned such a significant work. Its not the sort of house you or I may choose to live in and its not palatial by any means, but it is a permanent family residence that appears to be comfortable and well protected from potentially hostile surroundings. As Israel Finkelstein, Ido Koch and Oded Lipschits report, occupation in the later periods appears to be directed north away from the central ridge of The City of David and bedrock living may have obfuscated much evidence. But, there is no doubt that the pooled water of the Gihon, the hewn cave dwelling, the ziggurat like ascending walls, the rooms for worship on the High Ridge and the monument or matsevah (of Jacob) make this an extraordinary area that deserves the attention and interpretation of Israel’s leading archaeologists. I encourage the IAA to say more about these special features than the usual technically descriptive statements archaeologists are trained to report about each discovery. I would like to hear their theories on the relevance and significance of the combined features located in this unique area of Jerusalem. I was recently asked to elaborate about a previous post - Solving the Riddle of Beit-El and Beit-el - the confusing complexity it was intended to be. I find this particular subject important because it continues to incorrectly influence present day thinking, in the negative and the source is ancient. For example, Dr. Ben-Artzi, the brother-in-law of Israel’s present Prime Minister Binyamin Netanyahu is a proponent of the negative view. Here is the alternative: That Beit el, north of Jerusalem was populated and re-established in 797 BCE to separate the tribes, north of Beit el from those of the south who had allowed Solomon’s Temple to supplant the cultural and historical importance of Beit El, South Jerusalem. This sup-plantation and separation continues to influence Israel’s views, sentiments and cultural integrity. This story begins during the nations attempt to appoint their next King after the death of Solomon. The tribes of Israel struggled because Solomon’s son Rechavam of Yehuda, who was next in line was considered by many to be a shadow of his father. Against him was Yerovam (Jeroboam) of Ephraim who previously worked for Solomon, supervising construction in Jerusalem’s City of David, Shechem and collecting tax from the tribes of Joseph, but eventually he opposed Solomon. He fled to exile under the protection of Shishak, the Egyptian Pharaoh because of his outspoken views about the imposition of Solomon’s opulence. Yerovam returned from exile to challenge Rehavam and split tribal loyalty, in part by re-establishing an old center of worship at Beit el, north of Jerusalem on the border of land belonging to the tribe of Benjamin and Ephraim. Yerovam was socially influential over the northern tribes, he aligned himself with prophets, priests and leaders of the north from Dan, Shilo, Shechem and Beit el. He used previous religious practices including idol worship to influence the tribes by placing two golden cow gods in temples and referring people to their significance as gods of people of prominence, including Moses brother and grandson who had engaged with them. During the southerly pilgrimage to Solomon’s temple, he blocked routes, diverted and attracted his tribesmen with bedazzling worship at the temples he constructed. Yerovam exposed Solomon’s impartiality toward idol worship, exemplified by the idol practices and requirements of Solomon’s Egyptian wife, to justify the disposition of his fellow northern tribesmen. For his new nation, he set up an alternative priesthood and offered temple worship extravaganzas at which he offered sacrifices. On one festive occasion that occurred on the same days as southern tribes worship, a man from Yehuda (south) who was a prophet from Shomron (north) stopped Yerovam at the altar in Beit el by freezing his hands whilst he prophesied there would come a King Yoshiahu (Josiah) who would destroy Yerovam’s altar.Then the prophet released Yerovam and on his way home was tempted by a false prophet to eat and bless food, which he was not permitted to do, as a result he died. Three hundred and thirty years later, the prophecy came true. Yoshiyahu was one of the last kings of Israel and the great grandson of King Chizkiyahu. He quickly made it his mission to clear Israel of its idolatrous altars including Yerovam’s altar at Beit el. The destruction of these altars is the subject of my previous post from which I conclude, that Yoshiyahu rediscovered the high ridge at the Gihon which his great grandfather dug-up during his major excavation of the water tunnel from the Gihon Spring to the lower pool at Shiloah. The once land filled high ridge may fit the picture of an area known as the Milo, which 330 years earlier Yerovam had become intimately familiar during his construction tenure with King Solomon. Archaeologist Kathleen Kenyon confirmed the landfill of the east facing terraces to be the Milo. More recently Eli Shukron who was responsible for the high ridge excavation, on the same eastern slope, confirmed that soft earth covering the high ridge seems to have been deliberately placed to protect it. These indications suggest the Milo was a land filled area adjacent to a wall and may indeed fit the description of the high ridge. Although some claim the Milo to be further up the hill toward the temple mount, I claim the area of the high ridge is the location of Beit El Jerusalem, which coincides with the Milo. King David who came to Jerusalem to capture Beit El and Yerovam, like Chizkiyahu may have known that it was the origin of Jerusalem, but each were unable to reveal it in their time.The concealment of Beit El’s centrality, on the border of Binyamin (Benjamin) and Yehuda subverts Israel’s culture, Jewish life and law, back then, Yerovam exploited it to split the tribes and the kingdom. Facebook - The information you are about to read was deleted by the administrator of The Archaeology News Network who would not endure my challenge to their fixed logic. Underlying my theory I proposed some archaeologists are so biased against the Biblical record they refuse to admit any evidence that would suggest its authenticity. Two wrestlers; the archaeologist first handicaps the biblical proponent tying both hands behind their back. “Can anyone help improve the theory that tassels on the skirt (relief in the tomb of Seti I) are also on the ivory from Megiddo, which are tzitzit worn by the Shasu/Israelites after they settled in Israel?” - see the full paper at the link below;. Warriór Móuse' and 3 others like this. Mitzvah Tzitzit - Do You Follow The Bible, Scripture, Torah,Prophets,Writings ? Nicholas del Cioppo What ARE you saying? Kevin Bermeister That the kilts of the prisoners are being presented to the person sitting on the throne and the tassels, which have been cut off the kilts, are prominently displayed to boast of victory over the holy kilt wearing Shasu and their tzittzit! Modern archaeological dating, especially the Egyptian chronology is notoriously unreliable, yet it is often relied upon to obfuscate Biblical dating. Population regression estimates Israel, before their departure from Egypt may have been 5 to 10% of greater Egypt’s population. Some 430 years prior, Jacob’s grandfather Abraham established relationships in Egypt. The birth of Abraham's first child came from his marriage to Hagar who was a daughter of Egypt’s pharaoh, their son Ishmael was circumcised age 13. Egyptian boys were circumcised as depicted in this ~2000-2300 BCE sixth dynasty relief. The Hebrew calendar precisely dates Abraham and Ishmael’s circumcisions to 3725 years ago or 1713 BCE. Therefore, by the Egyptologists approximate relief dating we are encouraged to assume circumcision was already common amongst Egyptians before Ishmael. After Jacob’s father Isaac was born (his descendants were circumcised on the 8th day after birth) the Torah and its traditional teaching relays that Hagar and Ishmael went back to live in Egypt. Sometime later Jacob’s brother Esau married Ishmael’s daughter (Basemath) Mahalath. This marriage aligned the lineage of Egypt with that of Abraham, Isaac and Esau. Torah tells us the Israelites under Jacob were settled in Goshen and that Hebron, in Israel was established seven years before Tzoan in Egypt. According to the dating, Abraham on his journey South probably established Hebron and Tzoan. A recent discovery using infrared technology, revealed a massive and ancient buried city called Tanis. Tanis was known by many names. Ancient Egyptians called it Djanet, and Torah refers to the site as Tzoan. There is no Hebrew letter for “J” or “Dj” it would have been substituted over time with “G” making - Ganet. 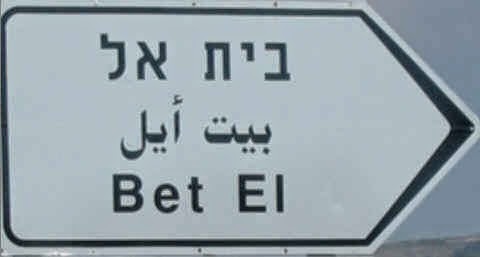 The sound for “t” in Hebrew can be substituted with the sound “s”. Therefore its possible that Djanet, Ganet, Ganes and Ganesh proceed Torah’s Tzoan and Goshen. Remarkably the modern name of the town Sân el-Hagar relates to the Egyptian princes Hagar. After Israel left Egypt, crossed the sea and miraculously escaped Egyptian revenge, they are said to have lived in an elevated spiritual state. Many did not want to leave the desert and confront the prospect of entering and fighting wars for their land in Canaan. Instead, Moses sent out spies to investigate, they came upon Hebron which Torah said was 7 times more fertile than Tzoan. 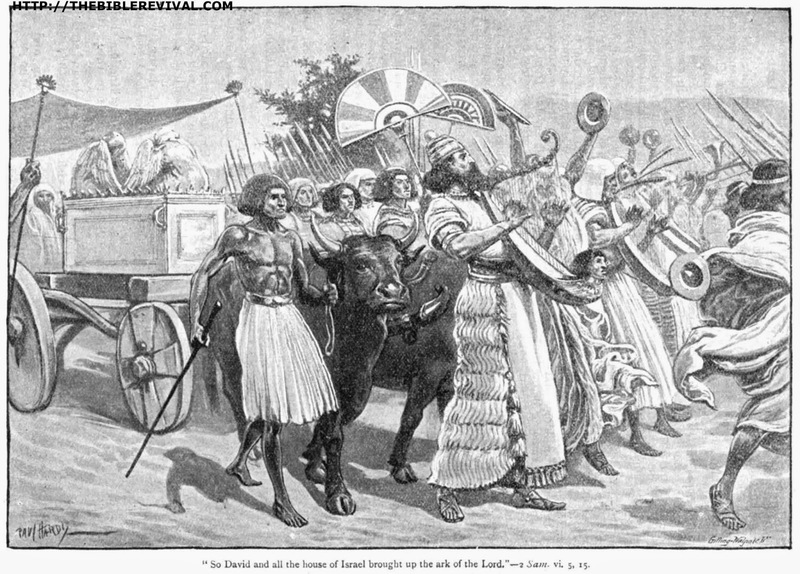 The spies specific depiction of the allegedly unconquerable Canaanite land was informed by encounters with Canaanites living around Jericho on the planes of the Dead Sea, Hittites living around Hebron, Jebusites living in the approach to Jerusalem and Emorites living in the immediate proximity of the holy mountain of Jerusalem. But it would take another 38 years before they entered the battle for their land in the year 1273 BCE. The Merenptah Stele (~1207 BCE) in the Egyptian museum boasts victory in a campaign in Canaan against Israel. Most of the text glorifies Merenptah's victories over enemies from Libya and their Sea People allies, but the final two lines mention a campaign in Canaan, where Merenptah says he defeated and destroyed Ashkalon, Gezer, Yanoam and Israel. Immediately following Israel’s re-entry to the land under Joshua, no king was appointed by the tribes to unify the nation. The tribe of Dan had been allocated the smallest portion of land. Despite their relatively large numbers, they failed to conquer it and surrounding land from the occupants along the Mediterranean in the approximate area of Gaza to Ashdod and Ashkelon. To accommodate the growth of their tribe, they discovered land in the North. Beyond the Biblical boundaries they conquered the city known to them as Laish where some of the tribe immigrated. Laish is the source of the Jordan River’s water, later it became known as Banias. Unlike all the other tribes, Dan were dominated by one primary family, the Shuamites.They frequently travelled the trail from Gaza/Ashkelon/Ashdod through Beit El (north of Jerusalem) and up to Laish in the north (Syria). The story of Micah from the book of Judges, reveals that the tribe of Dan, the Shuamites are referred in the Egyptian record as the Shasu of YHW, with their strange headdress, depicted in the images displayed in Karnak. The Shasu, true to their tribal emblem, snaked through Israel from South to North and harassed the Egyptian army as they travelled on the same migratory paths to Kadesh on the Orentes river near Laish. Although no direct match for Merenptah’s might, the Shasu made life very difficult, particularly in the hill country, as such they won frequent mention on the battle scene reliefs of Karnak. Now we can finally understand the hieroglyphic translation on Merenptah’s Stele - ‘Israel as people without a city,state’. The author referring to Israel, without a king, personified the Shasu, the tribe of Dan who had not conquered their land like the other tribes had already done. Merenptah used the Shasu to describe Israel’s retribution in the process of his Canaanite campaigns. Megido was a strategic location, the convergence of the ocean path north to the inland and the return of of the northelry path on the Judean ridge to the flatland. A carved ivory knife handle discovered in the Megiddo excavation revealing two captives being presented to a bearded leader.The men wearing the strange head dress are circumcised. Megiddo discoveries are attributed to two time periods based on the stratum analysis up to the earlier 950-1050 BCE and later period to ~550 BCE, but Megiddo also presents chronological difficulties.The ivory depicts a harp that does not appear to be an Israelite instrument, more likely an ancient Egyptian lyre and the throne is typical and may have followed the design of prophetic visions. In any event the King on the throne is bearded as are his soldiers. The two Semites may be Israelite Shasu, bearded and circumcised. And so we get back to the controversial tassels, the Tzitzit worn by the Shasu. According to my analysis they belonged to the captives depicted in the Megido artifact. However, my viewpoint was dismissed with such vigilance because it opposed the archaeological fraternity, that my post was deleted entirely. Deniers of the Biblical record who penalize anyone from using it, claiming their techniques and knowledge to be more reliable must surely be seen for the bigoted views they promote. Beware the spies among us! A good friend and refined Torah scholar reflected on King David's aborted attempted to bring the Ark of The Holy Covenant to The City of David after it had been shunned by the Philistines who had previously captured it. Immediately before David, the state of the nation was apparent because the tribes had failed to consolidate their power to protect their nations most holy object. David was anointed king in Hebron in the Hebrew year 2884 considered to be the midpoint of Jewish history and the year Prophet Samuel passed away. Seven years later he entered the city that was to become known as the City of David where he consolidated power, including by returning the Ark of The Holy Covenant to its people. King David was elated by the prospect that the Ark would finally be settled in its permanent and eternal place. However, the elation was short lived because the poles, once used to carry the Ark were inadvertently removed when the Ark was placed onto an Ox drawn wagon. During the journey the Ark jolted with the wagons movement and tragedy struck when Uzza touched the Ark and died. The ominous sign halted immediate attempts to move it and it was housed on a farm of a prominent family outside of Jerusalem till another attempt could be mustered. Following the first attempt, King David motivated national leaders to participate in moving the Ark to its temporary location in the City of David. He officially re-appointed the tribal priesthood who had retained their family lineage through Moses brother High Priest Aharon. Their job was to re-insert the poles, to lift the Ark and carry it back, on their shoulders up the mountains surrounding Jerusalem to the City of David. The mission was successfully accomplished and the Ark finally rested in a temporary dwelling the King had erected for it. After these events, King David proceeded to cement political and supply agreements to construct his palace, but it bothered him that he would live in a permanent dwelling while the Ark rested in a tent. The Prophet Nathan advised him; not he, but his son would be the one to build the temple as a permanent dwelling for the Ark. Intent on facilitating the process and his son, the King did everything in his power to prepare the Divine decree. This included the King locating the altar, the ultimate requirement, according to Jewish law for identifying the precise relative position for the Ark of the Covenant to finally rest. During approximately 37 years of King David’s reign the Ark rested at the City of David and served people as one of the nation’s principal places of worship. Toward the end of the King’s reign, he desperately struggled, spiritually and politically to locate the altar. He had experienced many difficulties including his controversial marriage to Bathsheba and his oldest son Absalom attempting a coup d'etat that forced the King to temporarily leave his City with the Ark. Finally he ordered an ill fated census of the nation that was directly attributed to the death of more than 70,000 people. But, the national pandemonium also brought opportunity and with it the King momentarily unified the disparate nation by his public display of soul searching and personal repentance. During these whirlwind events he bought the crest of the mountain, above the City of David, from the Jeubusite King on which he built an altar and offered personal sacrifices. The public took favor and the site was declared as the national location for the future temple altar to be located. The King was then able to complete the temple plans and progress the construction of its foundation including the preparation of materials, making it all but ready for his son Solomon to construct. When the King first attempted to move the Ark to the City of David, he was impassioned. Elated by the prospect that the Ark was going to finally rest, he quashed the legally prescribed requirement to maintain the attachment of the poles to the Ark. With the building of the permanent location so close to being achieved, he believed the messianic era, the permanent temple and peace in the world would prevail during his reign, but it wasn’t to be. Similarly Moses had become elated, on the nation’s first journey after receiving the Torah at Mount Sinai he began in earnest marching toward Israel, believing he would enter the land, bring the nation Israel to settle and build a permanent temple for the Ark. However, it wasn’t to be, that brief, painful moment for Moses was recorded for posterity. Written in 85 letters, placed between two backward letter Nuuns, isolated it separates Torah’s five traditional books into seven with the words of Moses; “Arise Hashem and disperse Your enemies and those that hate You shall flee from before You.” And when it came to rest he would say: “Return Hashem, the myriads of the thousands of Yisrael.” (10:35-36)”. The end point of Israel’s history, the year 5768 (2008) has already marked the nations redemptive return. Now the moment awaits for Israel to return, for the world to mature, for the messianic era to be recognized and ultimately for the Ark to finally rest in the permanent holy temple in Jerusalem.